Susan is a master of leading workshops, groups, and team events. In her business, thrive! inc. she works with leaders and teams helping them use the energy of conflict – rather than avoid it or defuse it – to get to innovative, creative, and profitable results. Click to watch her TEDx Talk: Conflict – Use It, Don’t Defuse It! When working with leaders, she hears them comment on how the horse is an amazing mirror, cutting through noise of words, giving them a honest, immediate reflection of what’s working and what’s not in terms of leadership style and communication. 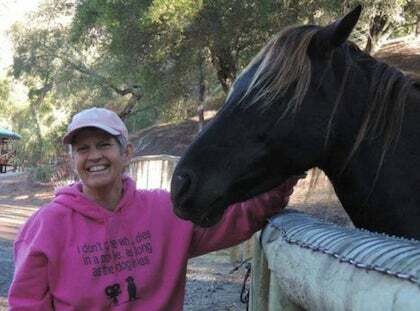 Susan would love to see horses become a more regular player in boardroom dynamics. You’d be surprised how it can improve your business and your sense of health and well-being!